In a time when corporate power seems to strong arm the weakness of individuals, there is a tangible magic in the oppressed banding together. Disney just so happens to know a thing or two about magic, and the earnest teamwork of the newsies just about sparkles with fairy dust on stage. They’re crude and dirty, but these boys are smart enough to recognize a cause that’s bigger than themselves and take a stand. The stakes in Newsies are high: some characters will starve without their wages; others have disabled family members that rely on them. If they fail, it’s no joke. The united force created on stage is heartwarming, which adds emotional heft when the plot gets dead serious. In a scene where Crutchie (Andrew Keenan-Bolger) is beaten by a police officer, I felt the blows in my own gut. The ensemble does a brilliant job of crafting a group that is sincere and worthy of the audience’s support. 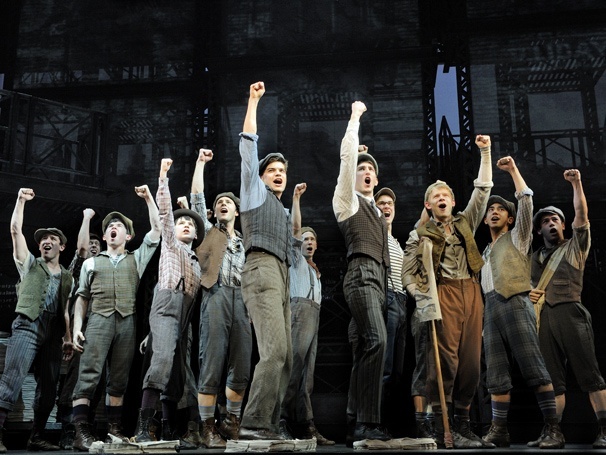 One can’t help but feel a little less selfish after seeing the camaraderie onstage in Newsies. 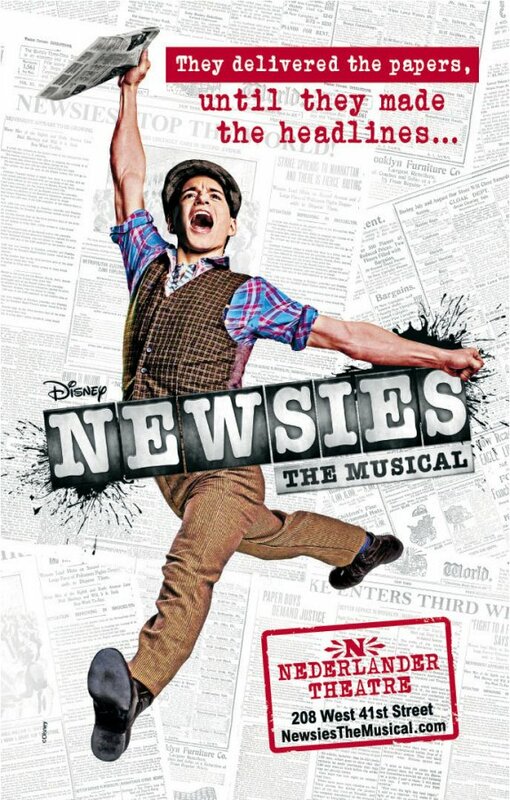 Newsies ticket lottery: Up to two tickets may be purchased for $30 by a winner of the ticket lottery. Entries are taken beginning two and a half hour prior to curtain with the drawing taking place 30 minutes later.